This article is 319 days old. 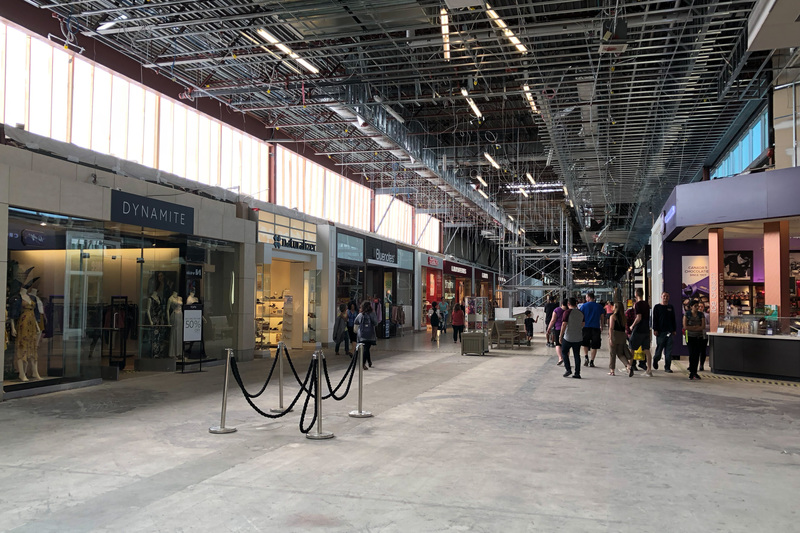 The new food court is located on the other side of the black curtain. 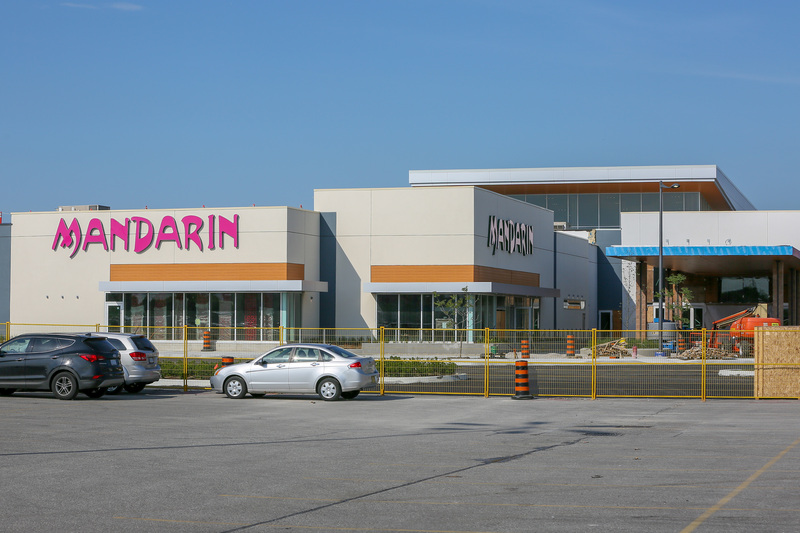 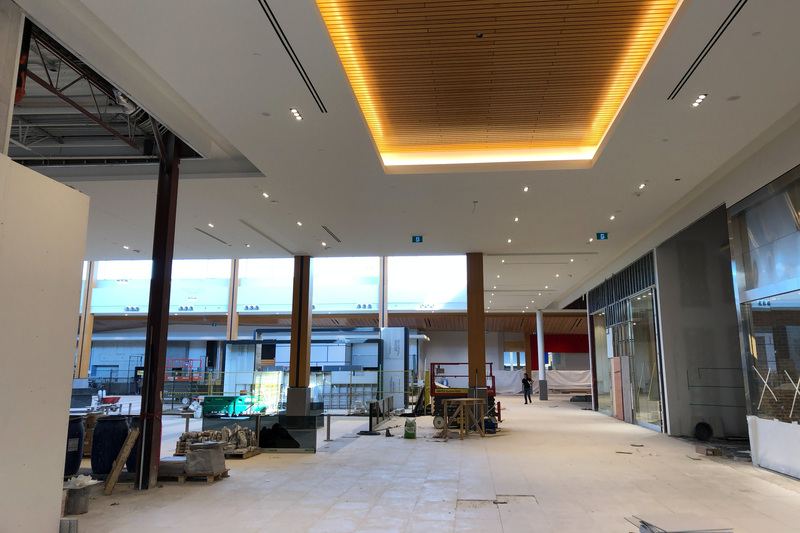 Construction of the $70 million redevelopment of Devonshire Mall continues. The food court located in space that was the former Target store is set to open to the public on June 27th. 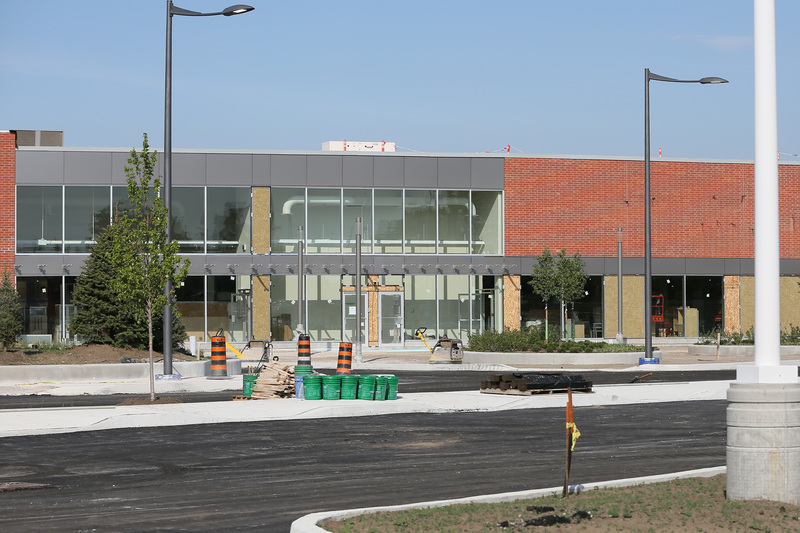 A feature of the new food court is that all food waste will be separated by mall staff to ensure proper diversion. On the out side of the mall, work continues on a new Shoppers Drug Mart that will see both the inside mall location and the one across the street at the Roundhouse Centre move into. 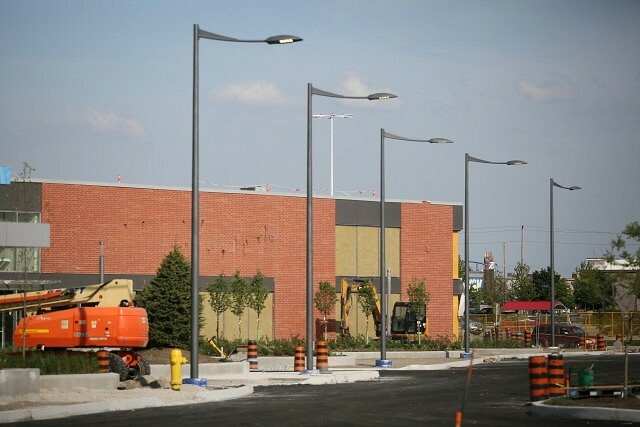 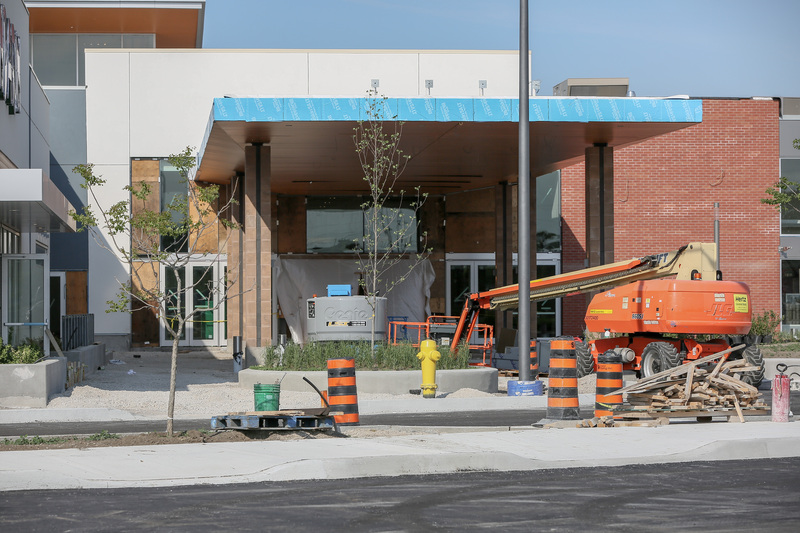 On the outside, parking lot improvements, landscaping and lighting improvements continue as well. 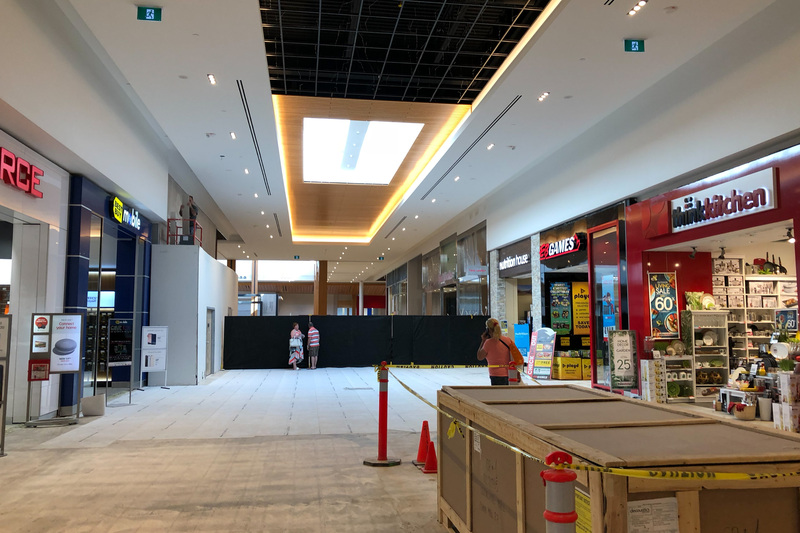 Ceiling and floor construction continues in other sections of the mall. 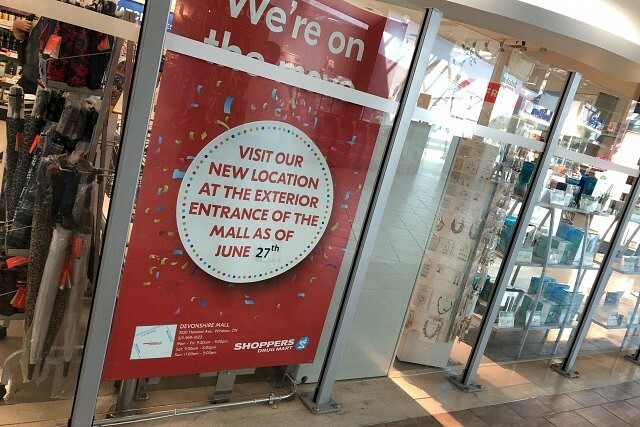 The Shoppers inside the mall closed on June 27th. The outside of the new Shoppers Drug Mart. The new entrance into the mall food court. 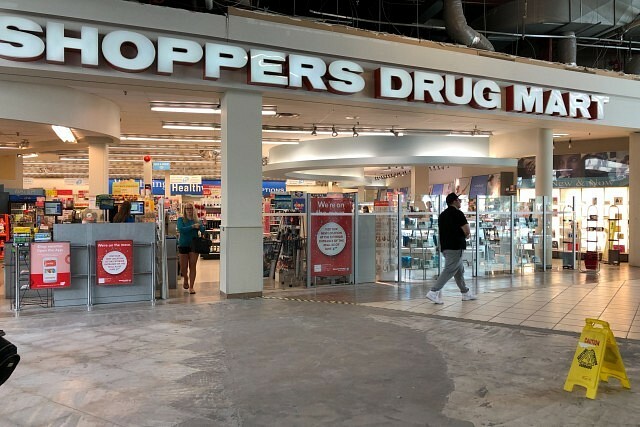 The new Shoppers Drug Mart. 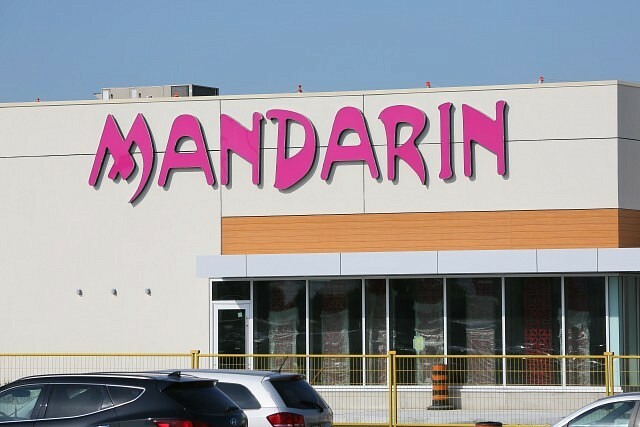 The outside of the new Mandarin.